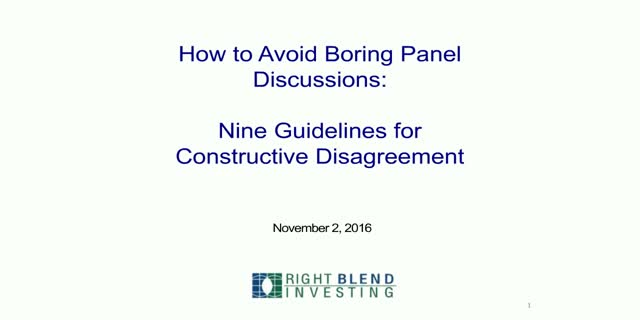 Investment panel discussions aim for respectful disagreement among professionals, though this is easier said than done. Moderator Rob Martorana shares lessons about respectful disagreement from running a hedge-fund website, and his guests discuss their experiences on various social media platforms. Finally, we offer an illustration of respectful disagreement among professionals: We discuss the pros and cons of robo advisor services from Vanguard and Schwab.